Stand up Maps of Countries 2015 by mfritz is licensed under the Creative Commons - Attribution license. 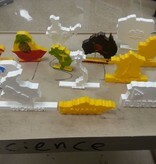 These models were created for a 7th grade cross-curricular "culture fair." 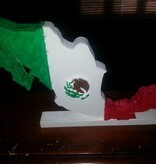 See the PDF file for a full description of the project. As part of the project the kids had to make stand-up maps of their chosen country and then embellish it with the country name or something representative of the country. 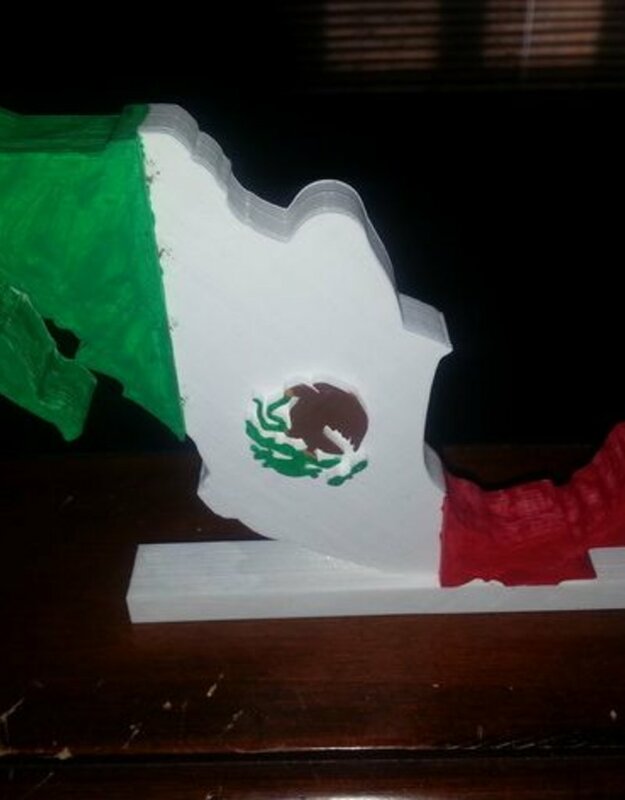 The Mexico model was my example, the other models were created by the students using Tinkercad. If the map is not monochrome it can be inserted into a Google Drawing. Then use the line tools to trace the outline. After deleting the original map image the tracing can be downloaded as an SVG file. 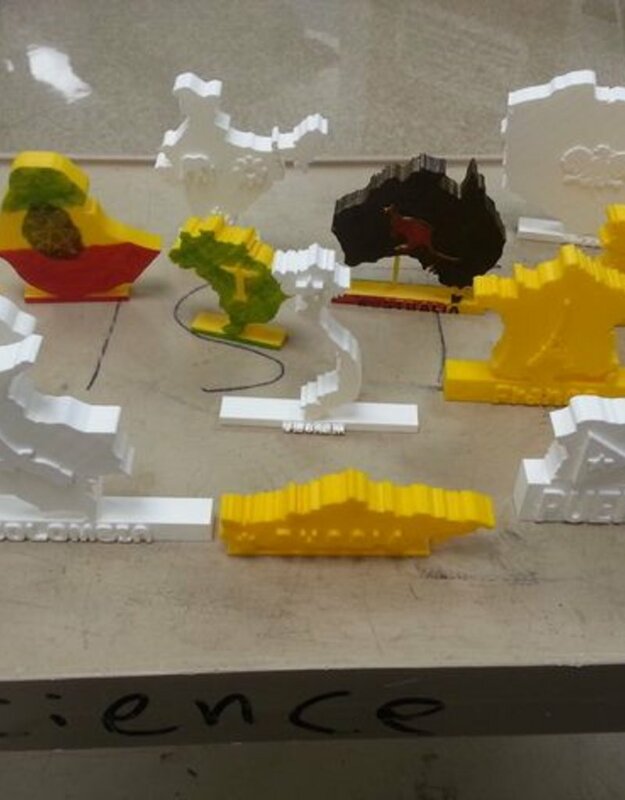 Students were able to design and print a 3D model of their country.